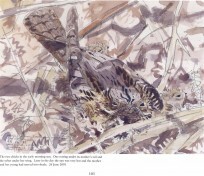 This book of paintings and sketches of birds and wildlife in Norfolk begins in the early spring, continues through the summer and concludes with the first signs of autumn. 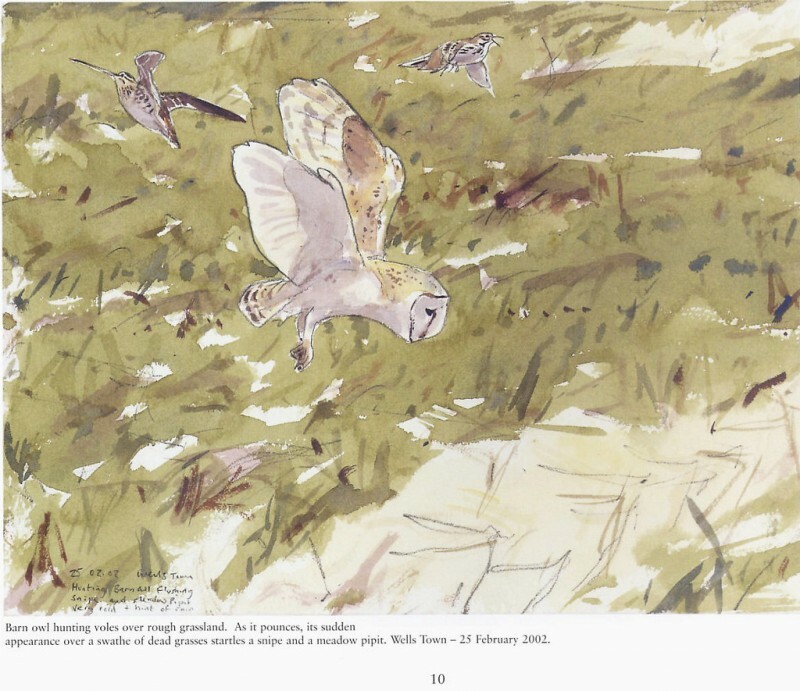 There are chapters on Barn Owls, Bitterns, Adders, breeding birds of the grazing marshes, Nightjars, Tawny Owls and the return passage of the waders. These are woven together with a further series of topical paintings. 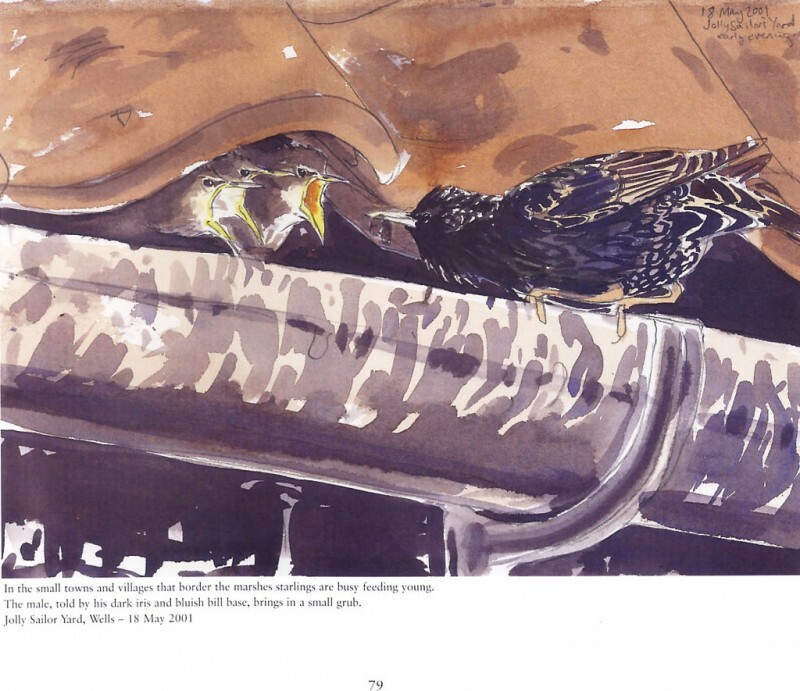 The foreword is by Ian Wallace the well-known birdwatcher. 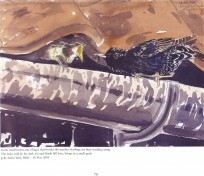 Ian is regarded as one of Britain’s greatest field observers and has made a great contribution to bird identification. Equally importantly he is a great champion of simply watching birds. He writing is descriptive and full of enthusiasm and has proved a great source of inspiration to many. 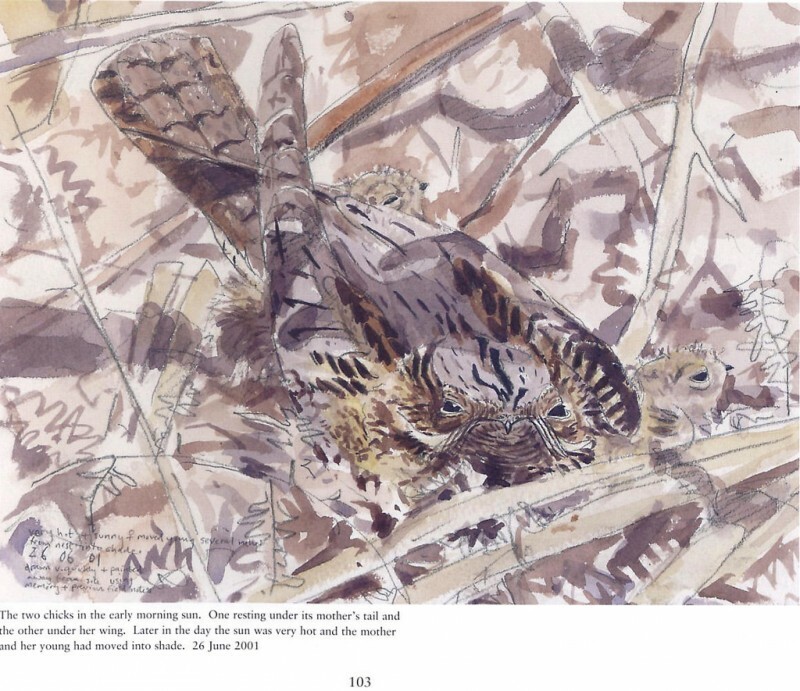 One of his early publications Discovering Birds is a favourite title of mine and the combination of enthusiasm and his informative yet informal style are qualities I have always aspired to in my own projects. 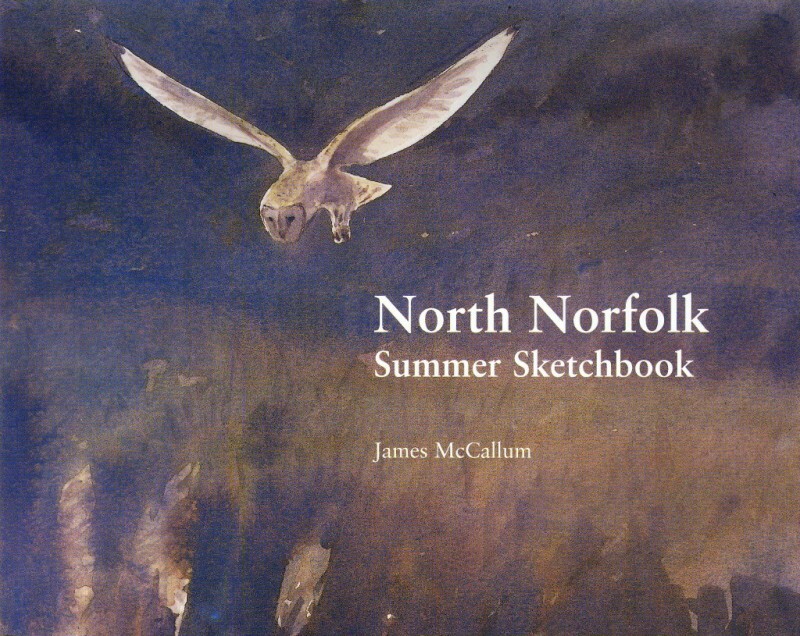 North Norfolk Summer Sketchbook is full colour throughout, 140 pages long with printed end papers and limited to 1500 copies. 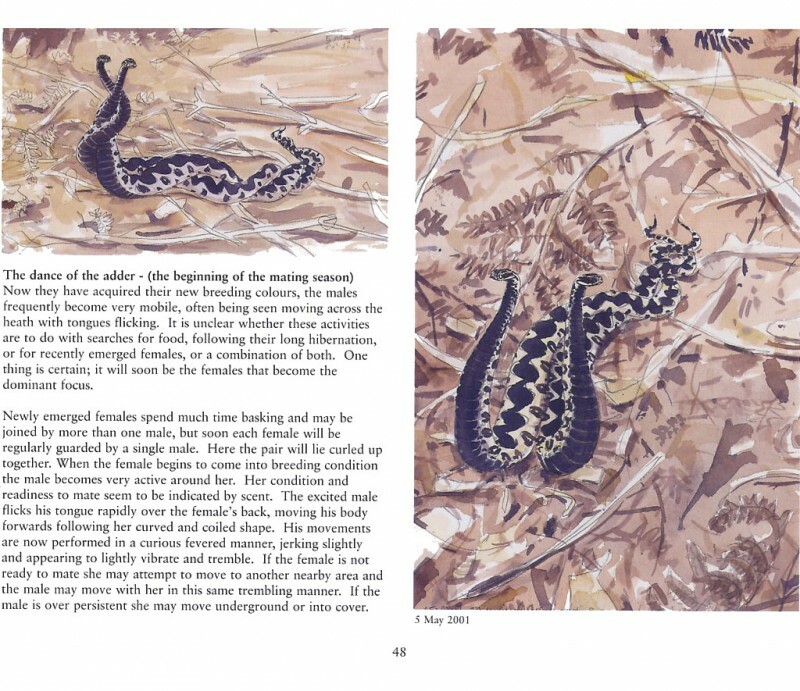 The first 50 copies are a Limited Edition with hand-coloured etching on the cover and spine. 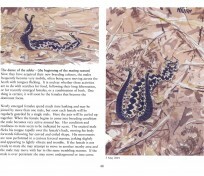 The following 1450 are hardback with dust jacket. One of the book highlights of 2004. Many of the paintings evoke strong feelings of ‘being there'. The paintings seem filled with the intense lifeforce of their subjects and they now fill me with a longing for the summer and a chance to see it all for myself. James McCallum’s paintings have the striking immediacy you associate with snatched snapshots, but their sense of time is their most powerful feature.